Have you ever had the bright idea that you'll do a spot of home baking and started tearing away at parchment paper with reckless abandon, happy as Larry for the first five minutes until you reach ... the baking point of no return? You're half way through creaming the butter and sugar, with eggs still to beat and flour that won't sift itself. It all needs folding together with a large metal spoon until a mixture of dropping consistency forms, but, the only thing dropping is you. As for the washing up that's still to be done, that's a whole other ball game. You wish you hadn't started but it's too late to turn back now. There is however another option, with a lot less washing up. 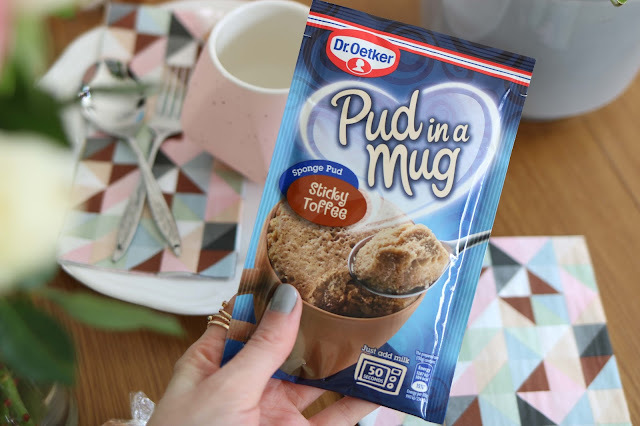 Dr. Oetker's Pud In A Mug is the ultimate comfort food, a cake that's ready in seconds! Home baking with just a sprinkle of cheating on top. 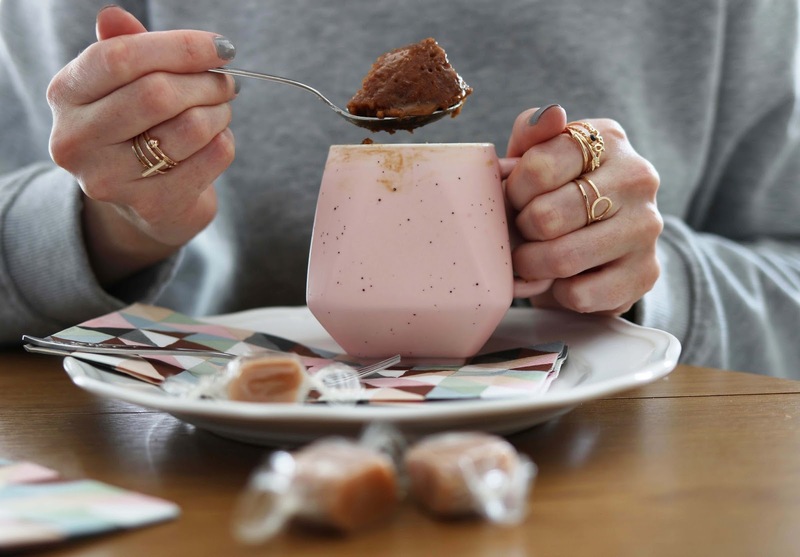 Empty the contents of the sachet into a mug, a smaller one works best, add milk and mix together. Pop it in the microwave for 50 seconds and voila! Pudding is served. Put your parchment paper away pal. 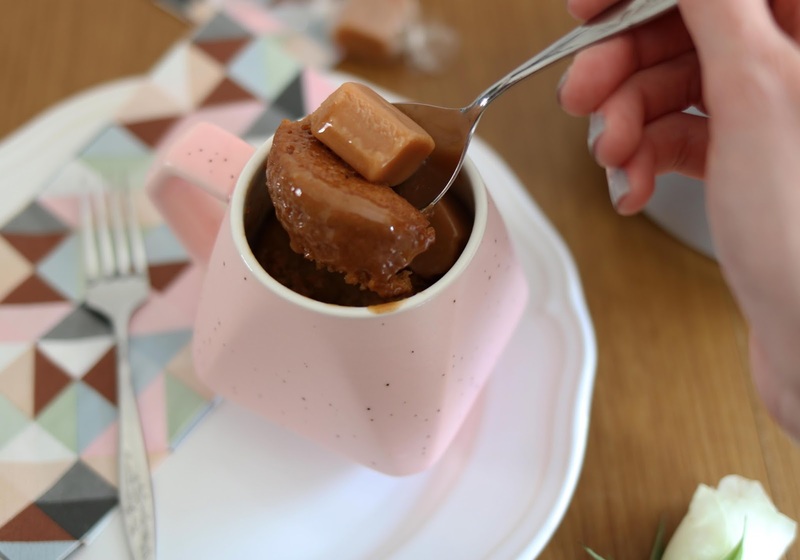 I tried the new flavour, Sticky Toffee, which is the perfect sweet treat for when you feel that way inclined. I'd recommend keeping a few sachets in stock for a movie night curled up on the sofa, or maybe an impromptu girls night in, or I suppose any time when you need cake and you need it fast. 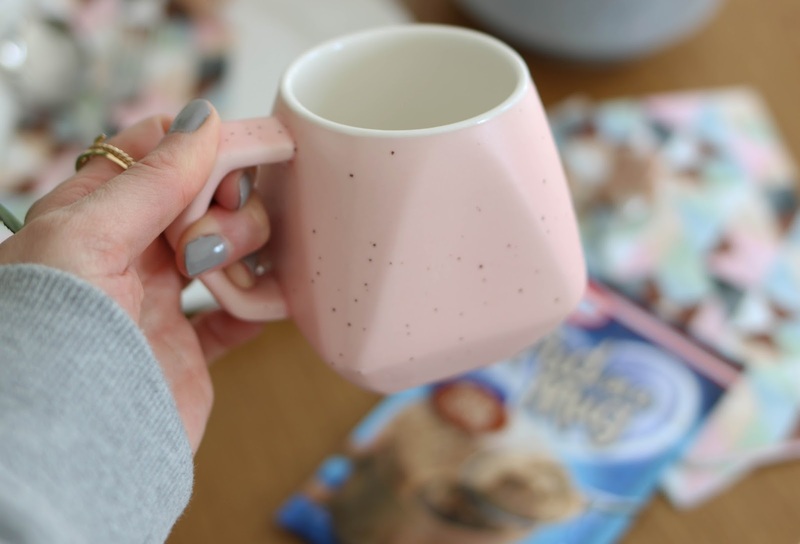 "Home baking" without the hassle. Just try not to let the ping of the microwave give the game away.